A famous public international airport, Lal Bahadar Shastri, or Varanasi Airport, of India, is located in Babatpur, Varansi. With International rank recently earned, this airport has many helpful services to offer all fliers. In our guide we have important airport details and details of nearby hotels as well. Information desks are available in both the International and Domestic Arrival halls. From Varanasi city, take Kachari Road to NH31. Follow NH31 to Airport Road until you arrive at Lal Bahadur Shastri International Airport. The drive time is approximately 50 mintutes. 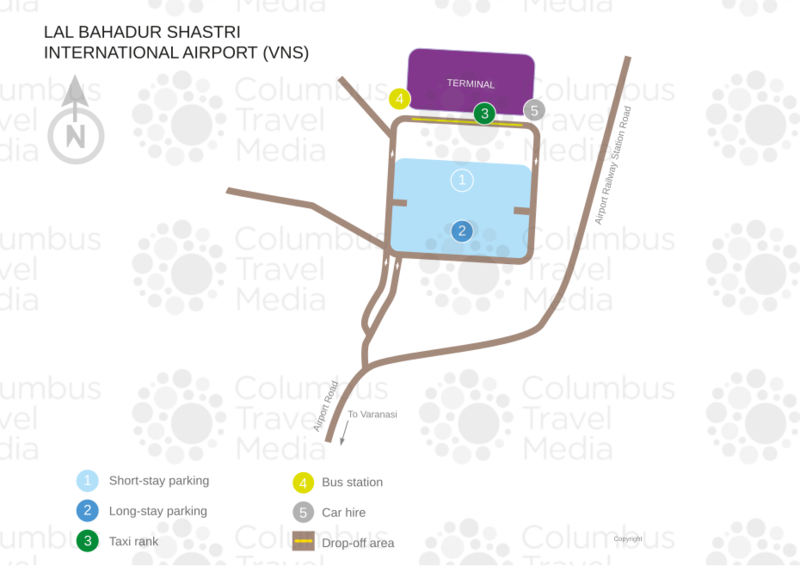 Lal Bahadur Shastri International Airport is located 26km (16 miles) north-west of the city of Varanasi, India. Airport Bus: A cheap, but irregular bus service runs between the airport and the centrally located Hotel India in Varamasi city. Taxis: A pre-paid taxi service is available at the airport and is located outside the Arrivals hall. This service is run by local police and offers a fixed-fare to popular destinations in Varanasi. While there also are unofficial taxis outside the airport, these often are more expensive and are bet to be avoided. Varanasi Cab (tel: +91 945 378 8158; http://www.varanasicab.com/) and Savaari Car Rentals (tel: +91 90 4545 0000; https://www.savaari.com/varanasi/car-rental) also offer taxis at a fixed rate. ATMs and currency exchange services are not available at Lal Bahadur Shastri International Airport. Telephones can be found throughout the terminal, while postal services are located outside the Domestic Departures hall. Food services such as restaurants and snack bars can be found within the terminal. Duty free shopping can be found in the International Lounge of the terminal. There are also shops selling jewelry, clothing, books and newspapers available. There are no centralized lost luggage facilities at Lal Bahadur Shastri International Airport. Instead, lost luggage is handled by the airline provider. Other facilities at Lal Bahadur Shastri International Airport include: first aid services, trolleys and a childcare room. Conference and business facilities are not available at the airport. However, The Gateway Hotel Ganges Varanasi (tel: +91 542 6660001) provides conveniently located business facilities. Telephones are located throughout the terminal but are mainly restricted to local phone calls. A Wi-Fi service is not available. Wheel chairs are available on request, along with assistance for elderly and physically challenged passengers, and those with children. For specialised assistance, contact the airport (tel: +91 542 262 2320) or your airline directly. A car park is located at Lal Bahadur Shastri International Airport. Spaces are offered at a fixed rate and there is no specification for length of stay. Car rental facilities are available at Lal Bahadur Shastri International Airport. You can arrange a rental at one of the car rental desks within the terminal.